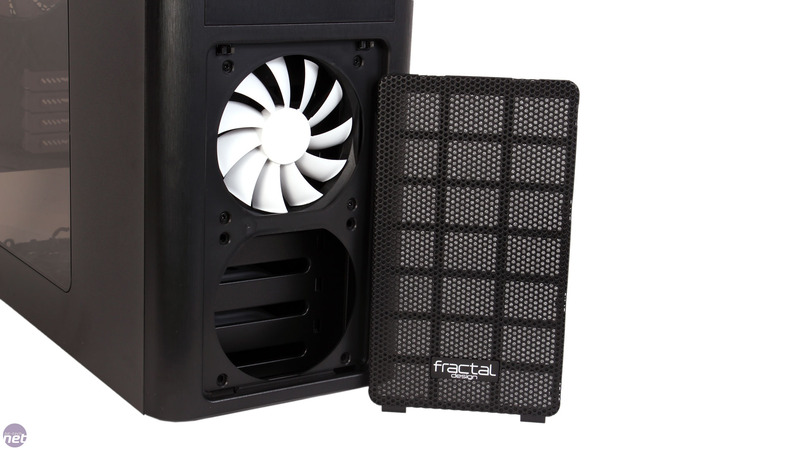 We're big fans of Fractal's Arc series of cases, with both the Midi R2 and original Mini cases picking themselves up Approved awards. Having revised the Midi earlier this year, Fractal is back again with a new version of the Arc Mini, appropriately called the Arc Mini R2. 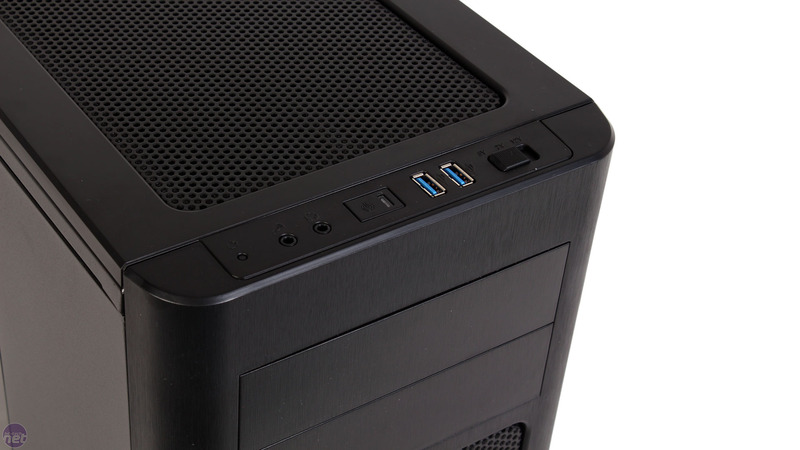 It's designed for the micro-ATX form factor, which is popular as it keeps things small but gives you more expansion options to play with than mini-ITX. The external design of the Mini R2 is very similar to its predecessor's, with the main change found on the left side panel. 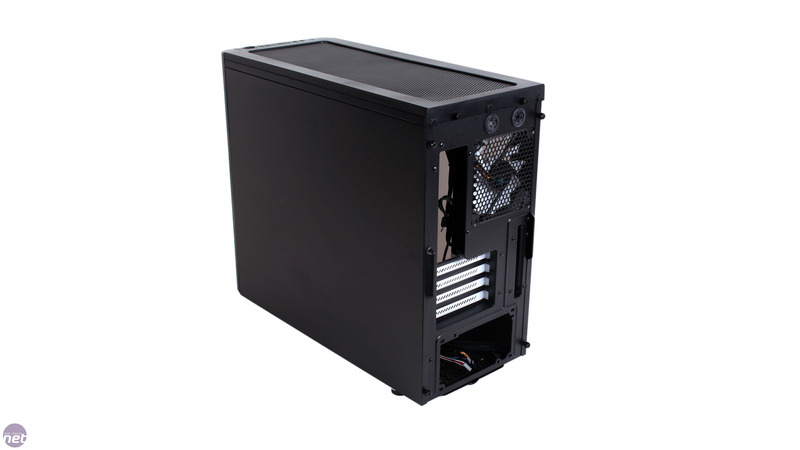 Here, in place of the original single fan mount, you'll find a large tinted window, which updates the chassis in line with the Midi R2's look. 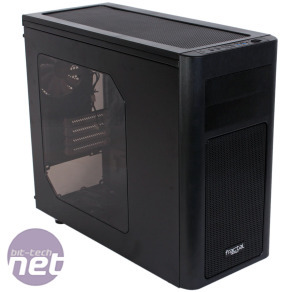 The design is typical of Fractal in being understated, which is fine, but it does lack the wow factor of something like the SilverStone Fortress FT03, for example. 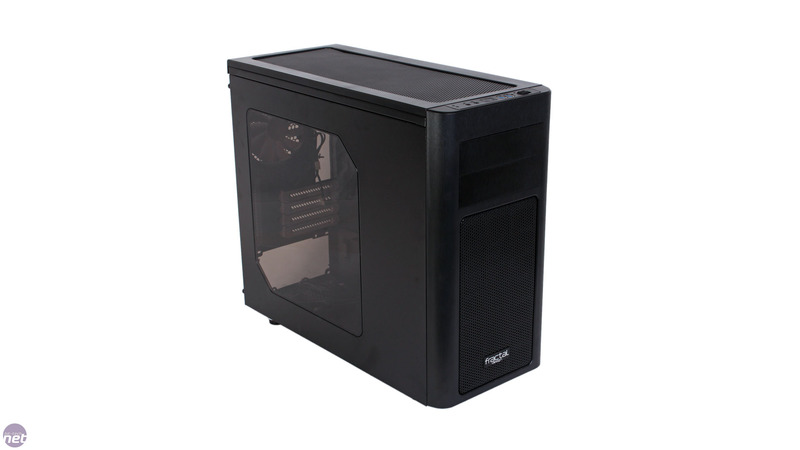 The case is very sturdy and the materials, including the front panel's faux-aluminium plastic, are of respectable quality. Wherever you place the chassis, it's sure to have plenty of grip thank to its large rubber soled feet that also grace the Mini R2 with lots of clearance. 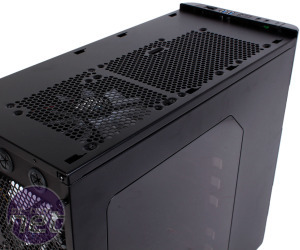 Even with this clearance, however, the lower dust filter is difficult to replace without turning the case on it's side: a frequent annoyance with such filters. 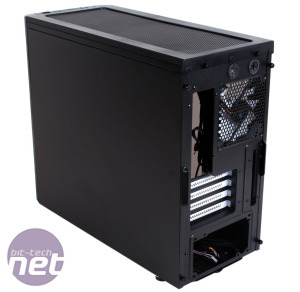 The rear design is completely unchanged and as such sports a pair of small but sturdy rubber grommets in case you want to hook your system up to an external water-cooling loop (although as you'll see over the page there's plenty of liquid assets internally too). 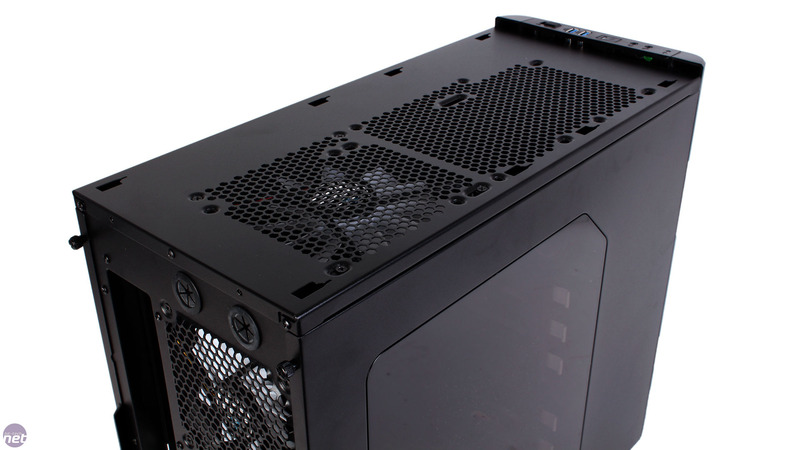 There's also a vertical PCI expansion slot in addition to the regular four horizontal ones. 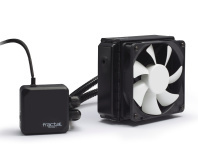 The cooling arrangement has also been carried over, and as such the Mini R2 ships with three Silent Series R2 fans by default; two 120mm ones and a 140mm model. 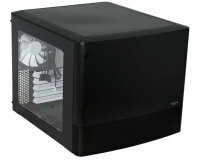 The smaller fans are located in the upper front mount and the rear exhaust position, while the 140mm fan can be found in the furthest back roof mount. There's an extra 120mm fan mount on the case floor that's also covered by the aforementioned dust filter, and there's now a third 120mm fan mount at the front of the roof. We again see that little has changed from the front of the Mini R2 as well. 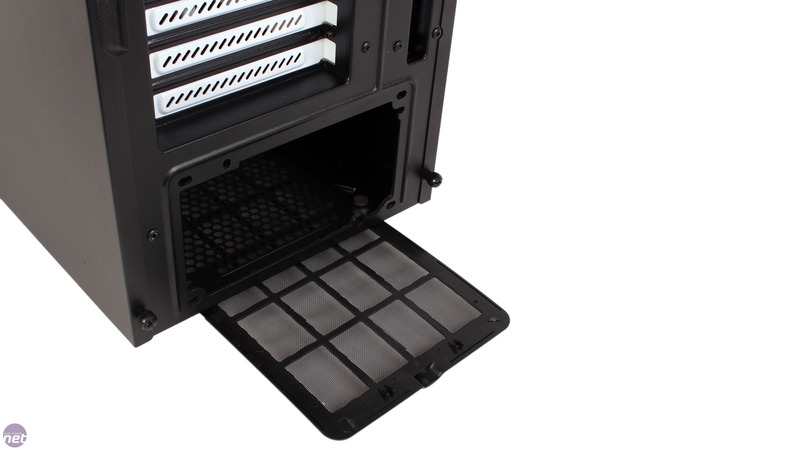 Here you'll find two optical drive bays and a large mesh section backed by dust filtering material. Thankfully, however, this section can now be independently removed thanks to two simple clips that you push to activate, which allows for easy cleaning. 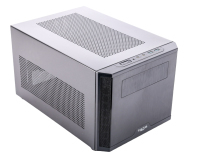 A similar mesh and filter combination occupies the majority of the roof too, and this can also be easily removed via two thumbscrews at the back of the case. The front I/O panel, although located in the same position, has seen some changes. 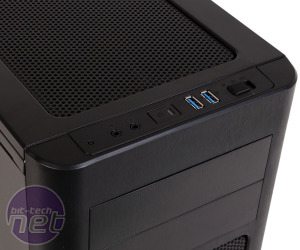 The dual USB 2.0 and single USB 3.0 combination from the previous case have been replaced by a standard pair of USB 3.0 ones, while the third port has been ditched to make way for a fan controller, which previously was supplied as an expansion bracket. 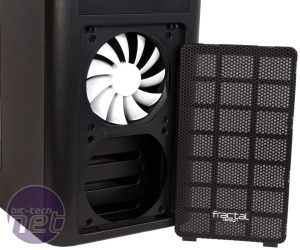 The panel is identical to that used on the Arc Midi R2, and the fan controller will power up to three fans on a single channel, with 5V, 7V and 12V speed settings.